Truth be told, I've always been less than enthused by long-wearing lipglosses and lipsticks. They flake, they dry out, they fade in weird patches so part of your lips are colored and part are clear. 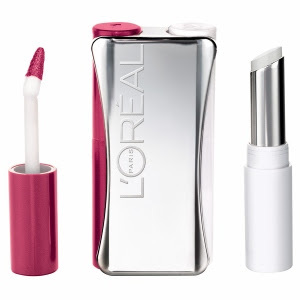 But then I came across L'Oreal Infallible LipColour, and my opinion changed. Here's how to apply. You start by applying the color to your lips, which will feel a bit wet for a few minutes. You should wait about two minutes before applying the balm on top of the color. This gloss, if applied correctly, is supposed to last around six hours. Well, let me tell you -- it lasted way longer than that! I applied at 8:45am and it was still on a whopping twelve hours later. My only complaint is that the actual color feels a little crackly whenever the balm wears off, but that's easily rectified with another swipe of balm across your lips. All in all, this is definitely an investment worth making! The many different shades will keep you happy for hours on end. Now that's what I call lip service. L'Oreal Infallible LipColour retails for $12 at drugstore.com.